Many people are asking me how I got this license plate. They routinely assume I bought it from a souvenir store in Rio. This is not the case. 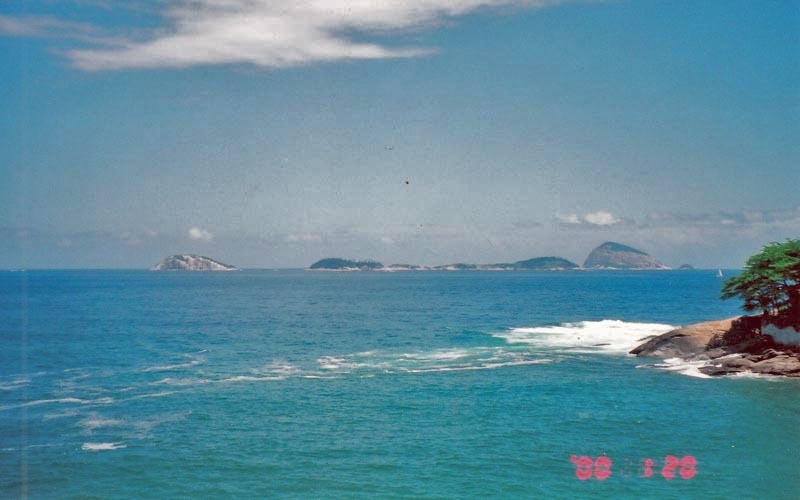 Richard Feynman went to Rio de Janeiro very often. I was why. The best way to find out was to go there and see the city and meet the people. I went there in January of 2000 during the semester break. 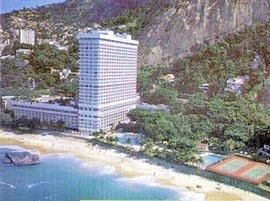 I stayed at the Hotel Sheraton Rio. 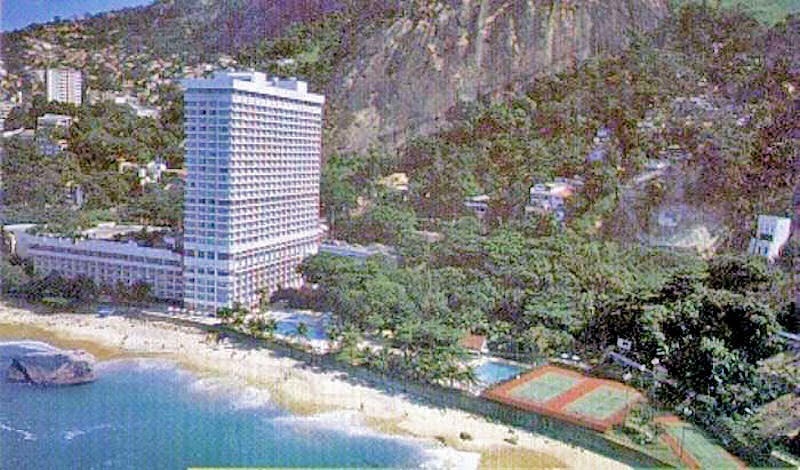 This hotel was and still is somewhat removed from the Copacavana Beach, but I thought this American hotel would be a safe place. 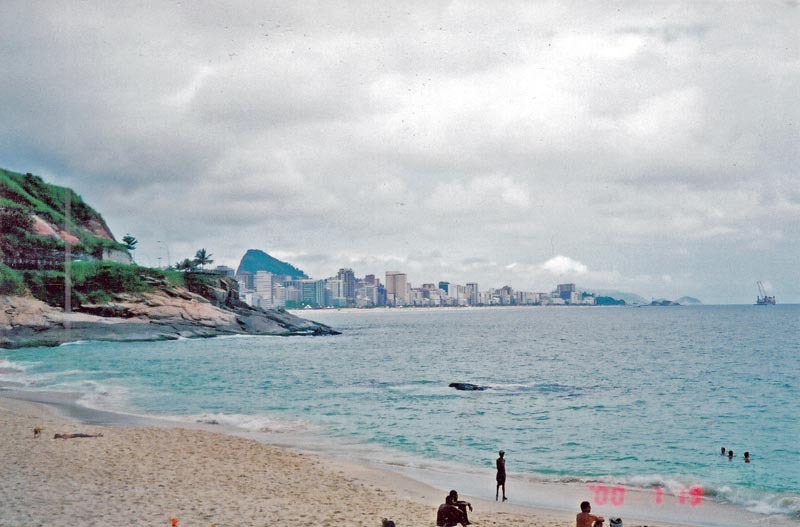 There was a bus leaving for the Copacavana Beach and Downtown every 15 minutes. A young Brazilian craftsman approached me and asked me whether I would like to have a Rio license plate carrying my name. I asked how much. He said 40 us-Dollars. I said OK. He then asked me to write down my name. I wrote down FEYNMAN. He brought came with the plate next day as promised. As we were taking a photo, a young lady hopped in, and the resulting photo was this this, but I made no attempts to find out who this young lady was. When I was coming back on a United Airline flight, the tickect people mixed up my seat assignment, and the net result was that I got kicked up to a business-class seat (fortunately this happens very often to me). While I was preparing to take my seat, a UAL flight attendant was passing by and asked me whether I remember the picture. She gave me her business card and asked me to send her the photo. 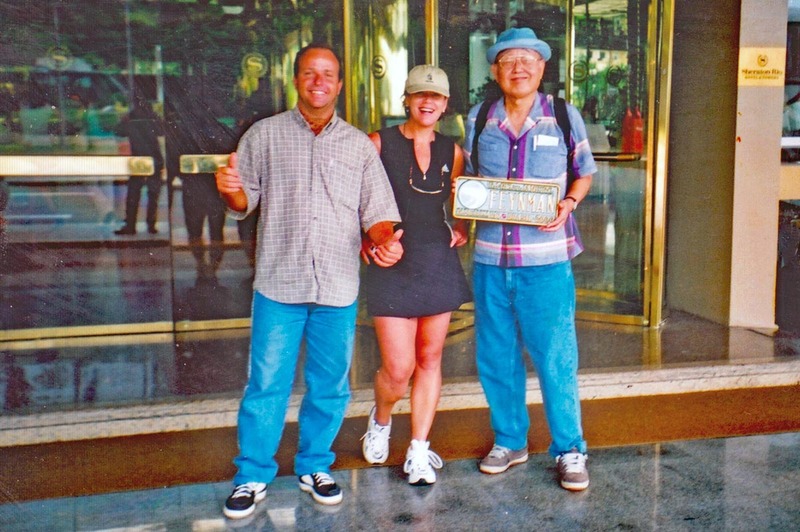 She knew I was a Korean, not Japanese or Chinese. She said she likes Feynman. Indeed, it was a pleasant experience. Swiming Pool and Beyond. This hotel is somewhat isolated from the city, but has everything. There are five different restaurants. 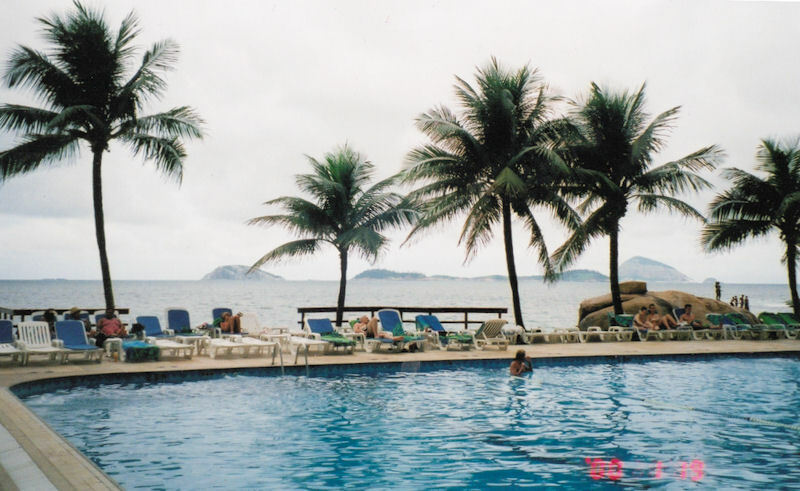 View of the Copacavana Beach from the swiming area. Ocean and Islands seen from the Hotel. 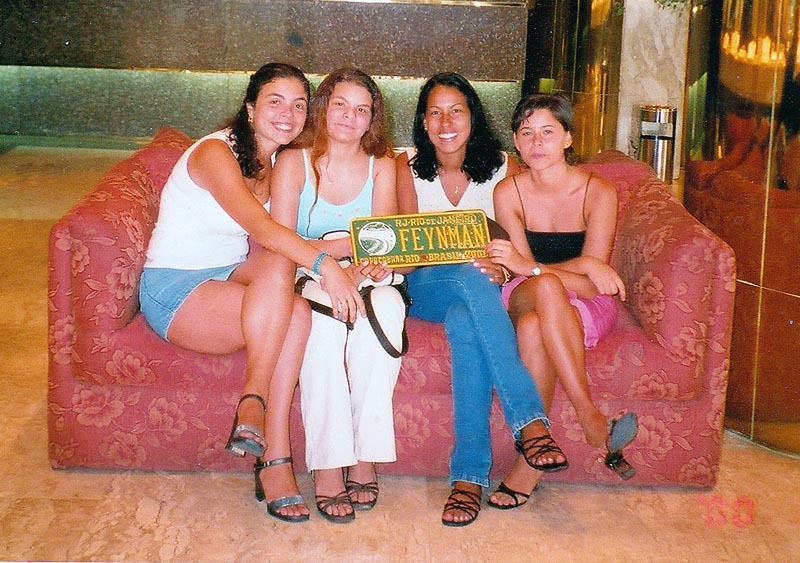 Young Brazilian Ladies holding the Feynman plate in the lobby. 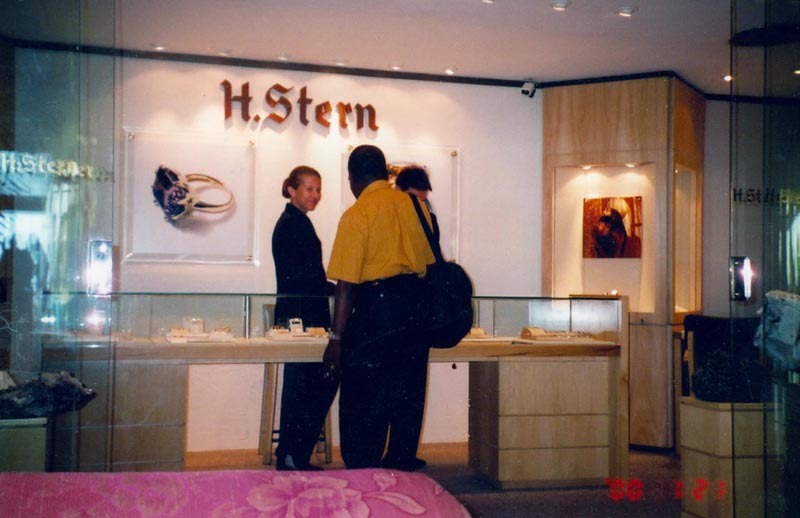 H.Stern Jeweler in the Hotel lobby. copyright@2011 by Y. S. Kim, unless otherwise specified. Click here for his home page.